Darius Rucker will be joining with Hootie & The Blowfish for “Group Therapy” tour 2019. Hootie & The Blowfish will kick-off this 44-city tour on May 30th at Veterans United Home Loans Amphitheater – Virginia Beach, VA.
Hootie & The Blowfish will be performing across major U.S. and Canada venues – including shows in cities like Raleigh, Orange Beach, West Palm Beach, Spring, Phoenix, Las Vegas, Los Angeles, Mountain View, Englewood, Rogers, Cincinnati, Cuyahoga Falls, Camden, Mansfield, Columbia, New York, Noblesville, Saint Paul, Tinley Park, Toronto, Hartford, Birmingham, and many more. 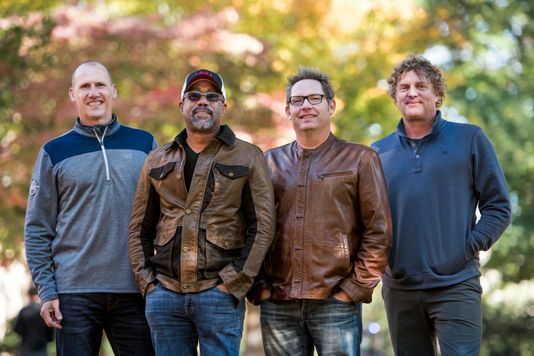 Hootie & The Blowfish will wrap-up this concert tour with final show at Colonial Life Arena – Columbia, SC on Sept. 13th. Tickets are available for sale at Ticket Hub.